Sébastien Léger is a French-born musical prodigy who has over 20 years experience as a producer and DJ. Landing his first residency at the age of 15, and buying an AKAI MPC sampler a short while later, his growing fascination with dance music during his youth led to Léger obtaining a truly unique sonic signature within his own productions. His earliest hit singles ‘Hypnotized‘ and ‘Hit Girl‘ clearly showcase his talent, boasting clean and minimal percussive breaks, and vocal samples reminiscent of all good vintage French house music. Since then his sound has matured, whilst maintaining the audible characteristics he presented in his formative years. His most recent EP ‘Underwater Rocket‘ released under All Day I Dream, is a melodic and beautifully complex body of work, executed with laser precision. Australian audiences get ready to welcome Léger back for three overdue dates. Sébastien Léger has taken an unorthodox approach to his musical career resulting in a unique creative output. over the last 20 years, he has learned to adapt to the ever-changing face of dance music. Staying true to yourself and believing in your own abilities are the key to being able to thrive and develop over such a long period. This distinctive ability is something only a handful of artists can call their own. releasing music over a 20+ year career, including 4 studio albums, and countless EP’s on a variety of labels including his own Imprint Mistakes Music, Einmusika Recordings, Systematic Recordings and Dubfire’s SCI + Tech. Understanding the need for reinvention is key to Sébastien’s philosophy, constantly looking for that perfect track and never standing still for too long as stagnation is not in his master plan. 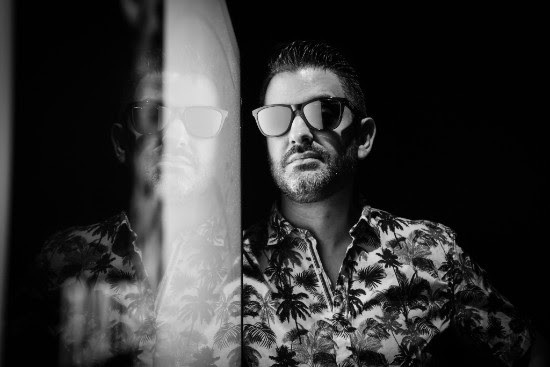 Neither is straight down the line techno, injections of groove and funk are key to his signature sound that has earnt him a long and fruitful career with one key objective – keep the dancefloor moving. With a release coming on Lee Burridge’s All Day I Dream, 2018 is starting as he means to go on.